With dropping temperatures, it's definitely appropriate to bring out a faux fur to keep warm during those fun party nights. 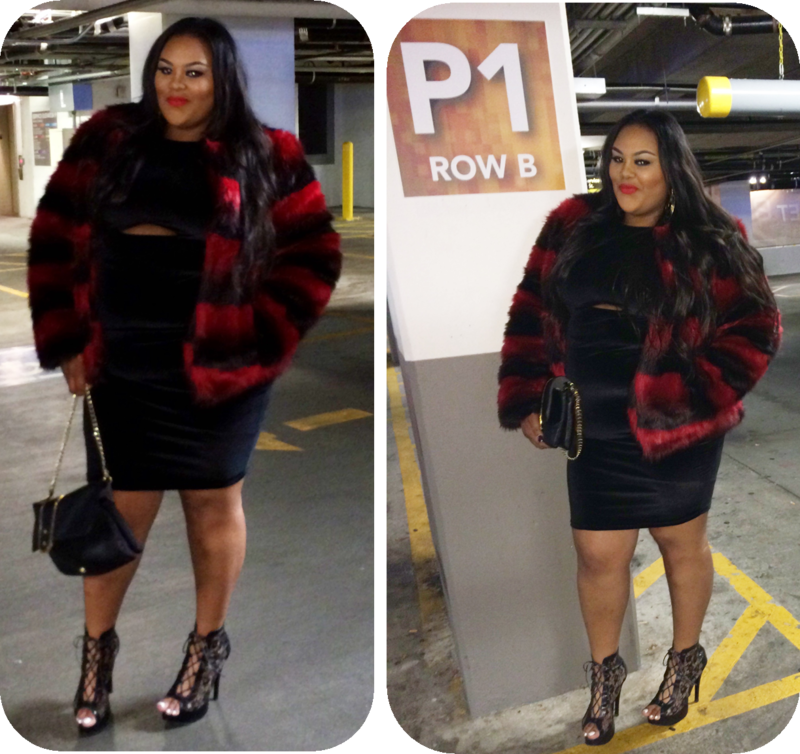 I recently purchased a red and black striped faux fur coat from BooHoo. I am absolutely in love with its luxurious look and feel. It's definitely a bold statement piece yet fun and flirty. I paired it with my little black dress from By Grisel's holiday's collection for Rebdolls, which I featured in a previous blog post. Hi Darling this look is Fab! What size did you purchase this coat in for Uk sizes?